Ida Belle, Ella, and Fannie Mae persevered under the most horrid conditions being black women who sought justice in an American society that habitually ignored acts of supreme injustice. I often wonder who are the Ida's, Ella's, and Fannie Mae's in today black communities? Each of these women was willing to risk life and limb to uncover the inequities that existed in America. 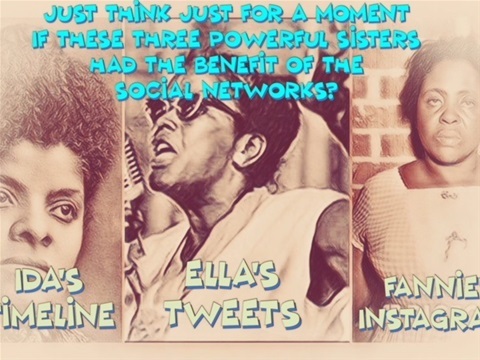 I also ask myself as I asked yesterday about Medgar, Malcolm, and Martin what would each of these sisters social media platforms looked like if they were alive today? I wonder if their timelines, tweets, instagrams would be filled with frivolous nonsensical posts that neither uplift or educate. 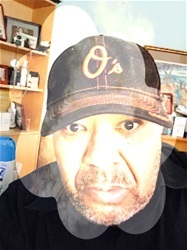 So I ask today are our black community leaders making the best use of these social media platforms to engage and interact with their communities? Do we, or can we do more to elevate the use of these social media platforms to expedite progress in our black communities? Remember that a crisis exists in our black communities today. That crisis is black illiteracy and we can work together to eradicate it totally from our communities using the social media platforms. Become that black person, male or female, who reads aloud daily. Join the Movement, I Am A Blackman Who Reads Aloud, Are You?